Long ago, on the road lying exactly on the boarder between the province of Sendai (modern day Miyagi prefecture) and the province of Souma (modern day Fukushima prefecture), a solitary boy fell dead. The boy was journeying from Sendai and planning to cross over into Souma when he collapsed. His head and upper-body lay in Souma, while his legs and lower-body lay in the territory of Sendai. Just then, a samurai patrolling the boarder of Sendai came upon the scene. 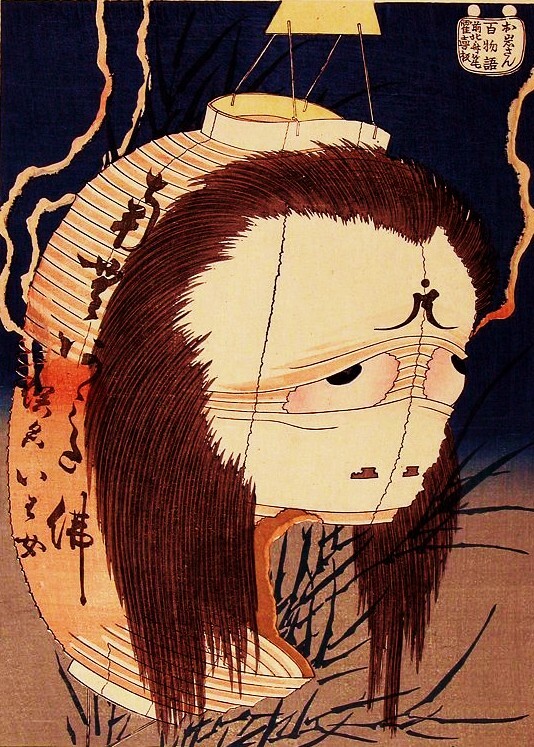 Softly and secretly, the patrolling samurai of Sendai lifted the body in his arms, turned him around placing his head in Sendai and his feet in Souma. He did not know, however that he was being watched by a figure from the shadows. There was a samurai who had been patrolling the boarders of Souma. The Souma samurai leapt quickly from his positing in the tree’s shadow. The two began to scream at each other fiercely. And so it came to be that the two Magistrates arrived, and discussed the problem of the boy’s body. The implied threat was clear. From here, the discussion of who was responsible for disposing of the body was ended. For it was true that if Sendai and Souma went to war, the outcome would never be in doubt. Souma would lose. Therefore, Souma had no choice but to accede to the wishes of Sendai. So they dug a grave and placed the boy inside. The following day, a mysterious thing occurred. Although they were positive they had buried the boy in the grave, he was seen sitting next to his headstone. Patiently, he would gaze kindly in the direction of Souma. After that, his head would turn in the direction of Sendai and his face would turn horrible. With all of his heart he would glare his hatred at Sendai. Not a single person of Souma who looked upon the boy suffered any ill effects, but the same thing can not be said of the people of Sendai. This story is from the Houken Era and tells of the way things are. It is an easy to understand legend, coming from the Tohoku Area.